Stazione:25 is currently available for immigrant investor funding in exchange for United States permanent resident status for qualified participants under the EB-5 Immigrant Investor Program. Located in the Mount Baker Station neighborhood of Seattle Washington, Stazione:25 is a 301 unit multi-family apartment project with parking for 217 vehicles and located adjacent to the light rail station. The City of Seattle has completed a major revitalization to the Mount Baker Station neighborhood, making it a new and dynamic diverse urban hub and town center for people to shop, socialize, and enjoy community life. Stazione:25 is the second major project launched in the Mount Baker Station area and bordered by a shopping center and recently restored Cheasty Greenspace - 43 acres of forested park land with hiking and biking trails, owned by the City of Seattle. Stazione:25 is located next to the Mount Baker Transit & Light Rail Station that will transport residents within minutes to many downtown Seattle locations such as sports stadiums (Safeco Field and CenturyLink Field), surrounding neighborhoods, University of Washington campus, and the University of Washington Medical Center plus many other key destinations in Seattle, including Seattle-Tacoma International Airport (Sea-Tac). 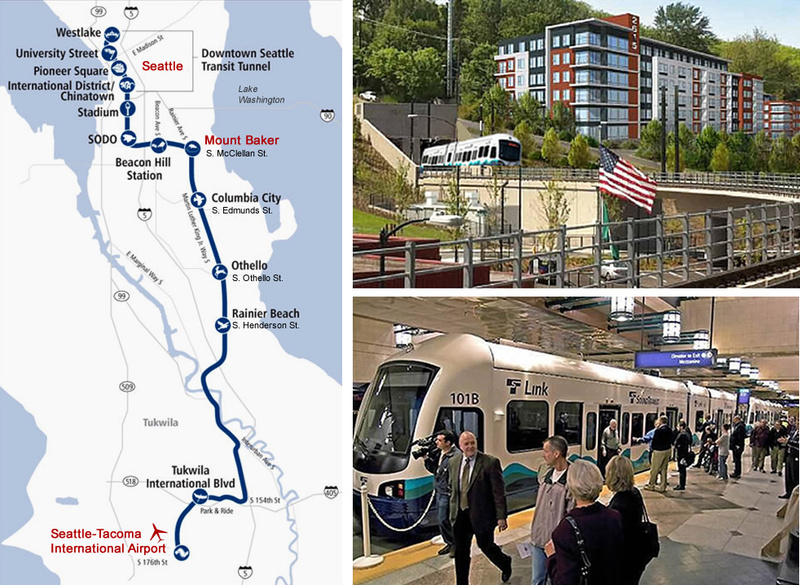 By 2023 the light rail system will reach downtown Bellevue (east of Seattle) and the Microsoft campus. Riders can reach downtown Seattle in 12 minutes or the airport in about 30 minutes. What makes Stazione:25 a good EB-5 project? 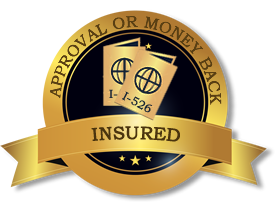 I-526 approval or 100% refund of capital. 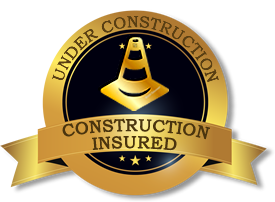 Construction is underway and completion has been insured by a major insurance company. 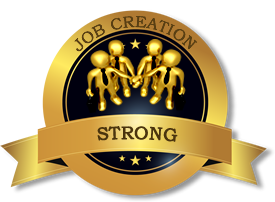 15 jobs created for each investor,a 50% cushion. NOTE: For optimal viewing experience, choose "Time Lapse" from the shaded menu bar at the top of the video. Osborne Construction is an employee-owned general contracting firm that performs a wide variety of construction projects in the western United States and Alaska. Its personnel are highly motivated professionals who have the experience, knowledge, and dedication to safely complete high-quality projects. Clients include federal, state, and local governments, oil companies, mining companies, electronics companies, retailers, and private developers. Typical projects include commercial, industrial, or residential buildings, design-build, civil, site development, utilities, and engineering work ranging in size up to $255,000,000. Osborne Construction is highly experienced with HUD projects and recently completed a HUD project for Western Washington Regional Center, an affiliate of EB5 Coast To Coast. The project is called The Savoy at Lake City, a new 4.5 story, 91-unit 97,000 square foot senior apartment facility in Seattle, Washington. Robert Spitzer is a lawyer, real estate developer and real estate lender based in Seattle, Washington. Mr. Spitzer graduated from Stanford University (B.A. with Honors, 1976) and Columbia University School of Law (J.D., 1980). He is a shareholder with the firm of Garvey Schubert Barer in Seattle, and has been recognized as a “Super Lawyer” and “Top Rated Lawyer” by trade publications. Mr. Spitzer served as Chairman and General Counsel to a real estate development lending company with a portfolio larger than $100 Million, is a principal in a group which has developed and owns four retirement homes in the Puget Sound area, and has also developed an office building in Kirkland. He is also Chairman of ProLabHealth & Beauty, Ltd., a contract manufacturing company based in Vancouver, B.C., and Dontcallme-maam.com, a skincare company based in Redmond, Washington. Michael Ross is a founding member of the law firm of Ross Law Advisors PLLC. For over thirty years, Mr. Ross has devoted his legal practice exclusively to commercial transactions, primarily in the area of real estate. Michael represents national and regional owners, developers and managers of real property. Michael has assisted his clients in the development of over 8 million square feet of office, industrial, hotel and commercial property in the United States and abroad. Moreover, Michael is actively involved in real estate development for his own account in the City of Seattle. Mr. Ross has been distinguished as a Super Lawyer by Washington Law and Politics Magazine regularly since 2004, has been named as one of Seattle's best lawyers by SeattleMet magazine and as a Top Rated Lawyer in Corporate Real Estate Law by The American Lawyer magazine. TRF Pacific, LLC is a Seattle based commercial real estate development and management company with 40 years of experience developing and managing prime retail, mixed-use and office projects up and down the West Coast. TRF has a proven ability to manage, coordinate and utilize the skills of its development and management teams to moderate risk and achieve great results. With approximately 1,600,000 square feet of commercial properties, they are able to secure competitive pricing from their maintenance contractors. Their goal is to reduce operating expenses and increase cash flow. Each partner of TRF has decades of experience, deep resource networks and long-established relationships and continue to explore opportunities for development, ownership and management. Suzanne Zahr serves as owner’s representative to manage the Stazione:25 project. For 19+ years Suzanne Zahr has lead collaborative teams in producing complex real estate portfolios for leading companies such as Amazon.com and Starbucks Coffee Company. Suzanne has also worked as an Adjunct Professor at the University of Washington School of Architecture. Ankram Moisan Architects (AMA) is a national firm of more than 300 staff members with offices in Oregon and Washington states. Their portfolio includes award-winning mixed-use housing, condominiums, apartments, affordable housing, senior housing, student housing, healthcare, offices, hospitality, and retail. AMA has been market leader in housing design for more than 20 years creating vibrant mixed-use developments that speak to residents and the community on an intimate level. Morgan Design Group delivers a full range of services, from architectural design and contract administration to project close-out. For more than 25 years, Jean Morgan and her team have been providing architectural services. Ms. Morgan is a licensed Architect in Washington state, a Registered Residential Designer in the state of Nevada and a full-member of AIA in good standing. Indigo Real Estate Services was founded in 1996 and has garnered local and national recognition for excellence. Indigo specializes in multi-family investment and operational services built on a foundation of knowledge, creativity, community and sustainability. They are located in Seattle, Washington and manage 7,200 multi-family apartment buildings and consistently provide superior returns for their clients and attentive service for their residents. EB5 Coast To Coast is a family of USCIS-designated EB-5 Regional Centers, spanning the Atlantic to Pacific Oceans. Presently our Regional Centers cover areas in 35 states, including most major metropolitan areas. All Regional Centers are controlled by Steve Smith and his highly-experienced team. Steve has been a real estate developer in Seattle for nearly 30 years with a long and successful track record.